NAMD is the result of an interdisciplinary collaboration between Prof. Kale, computer science Prof. Robert D. Skeel, and physics Prof. Klaus J. Schulten at the Theoretical and Computational Biophysics Group (TCBG) of Beckman Institute. 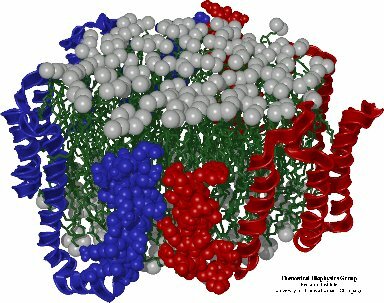 NAMD is a parallel, object-oriented molecular dynamics code designed for high-performance simulation of large biomolecular systems. NAMD is distributed free of charge and includes source code. Charm++, developed by Prof. Kale and co-workers, simplifies parallel programming and provides automatic load balancing, which was crucial to the performance of NAMD. 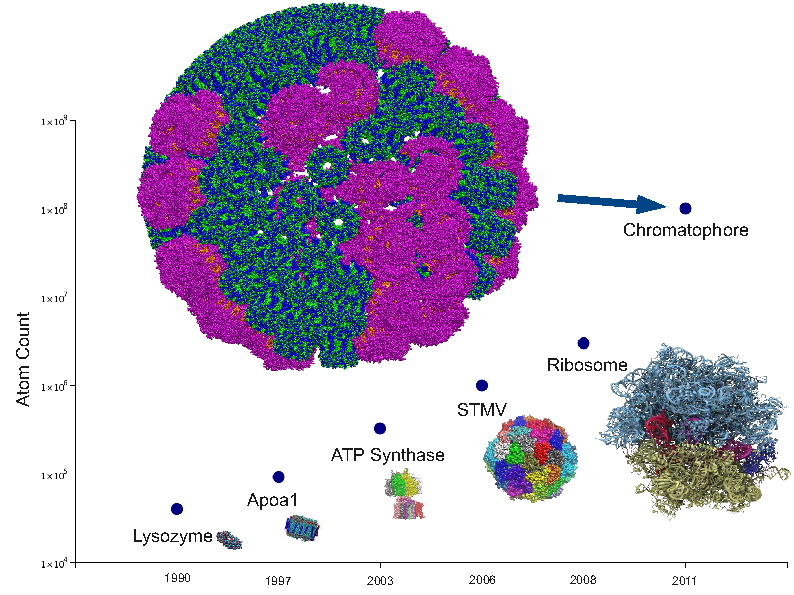 In SC2002, Prof. Kale and co-authors James C. Phillips, Gengbin Zheng and Sameer Kumar, won a Gordon Bell Award for special accomplishment for their paper NAMD: Biomolecular Simulation on Thousands of Processors. NAMD is implemented using the Converse runtime system, and the major components of NAMD are written in Charm++. Converse provides machine-independent interface to all popular parallel computers as well as workstation clusters. Converse also implements a data-driven execution model, allowing parallel languages such as Charm++ to support the dynamic behavior of NAMD's chunk-based decomposition scheme. The dynamic components of NAMD are implemented in the Charm++ parallel language. It is composed of collections of C++ objects, which communicate by remotely invoking methods on other objects. This supports the multi-partition decompositions in NAMD. Also data-driven execution adaptively overlaps communication and computation. Finally, NAMD benefits from Charm++'s load balancing framework to achieve unsurpassed parallel performance. NAMD developers also extensively use the Projections, a performance visualization tool in Charm++, to diagnose and optimize the performance of NAMD. The official NAMD home page is located at TCBG NAMD Research. Outside of NAMD, we are experimenting with alternative ways to parallelize molecular dynamics computations. | Tamar Schlick | Robert Skeel | Axel Brunger | Klaus Schulten | Laxmikant Kale | Jan Hermans | John Board Jr.